You have a choice of many websites, yet you are here. Its content and photos are published and copyrighted by Adams and Davis, LLC and its imprint, National Lilac Publishing, LLC. For photos owned and copyrighted by Adams and Davis, LLC and National Lilac Publishing, LLC, inquiries for permissions or purchase can be made via the contact form below. 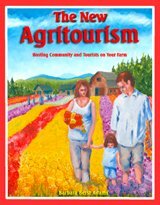 Connection of farmers and non-farmers in mutually beneficial ways, often via agritourism and other farmer to customer connections. Support for local economies first while being charitable with surplus to distant economies in temporary crisis, as well as thoughtfully selling locality specific crops around the globe. Continued expansion of locally adapted and adaptable crop varieties, which includes seed sovereignty. Occasional original guest articles are included also, especially on our Micro Eco-Farming sister site which overlaps with this one. It’s maintained by a group of introverted volunteers who are not shy of human crowds, but restore themselves better among plants, animals and deep discussions with eco-farmers. With the exception of the site’s handy Google Search bar, the only monetization done here is of organic, recycled, artisan and useful products for farmers sold through Zazzle, one carefully vetted Clickbank book on honeybee hives, and the author’s own eco-ag books. When clicking on our Zazzle links, no one earns any commission just from clicking. That happens only when something is actually purchased, and in that case, it’s of no extra cost to the purchaser. Regarding carbon offsets for travel to agrarian destinations, we all plant and maintain trees and polyculture meadows to create surplus sequestration. One of us drives an electric vehicle. Ms. Adams has long kept a multi-acre rural building lot wild and full of hundreds of trees and native hedgerows instead of allowing it to be developed. The farms and gardens portrayed here demonstrate unique regenerative strategies. Not all use every regenerative method possible and many are continually learning and adapting. But in seeing what they are doing now, we can better continue to move further.towards regeneration. In seeing these people, places and situations through a regenerative lens, we can also point to what could soon be happening if it hasn't happened yet.